Pair of KISS shaker pint glasses. Loyal fans of KISS will love having this glassware in their kitchen or bar. These tapered 16 oz. 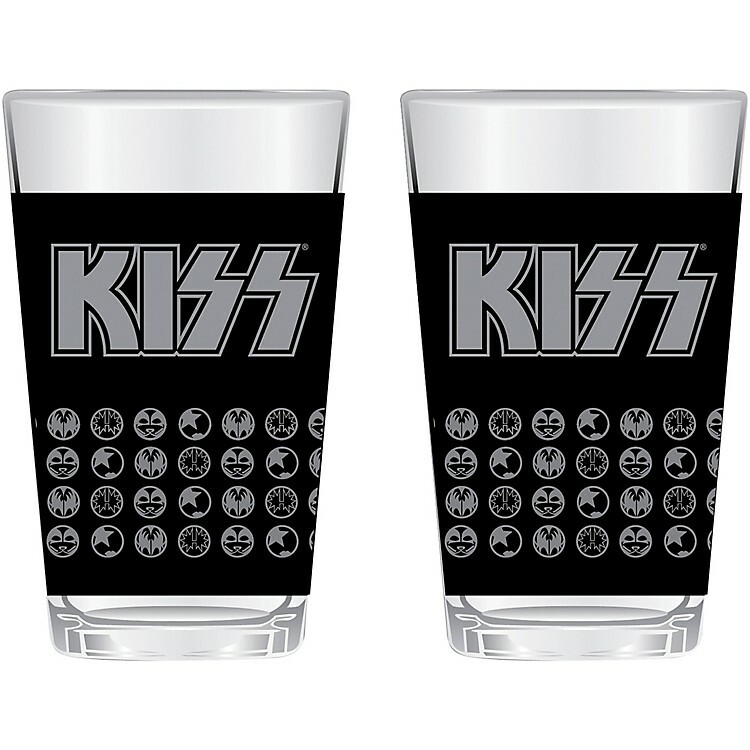 pint glasses feature the KISS logo in silver on both sides and small makeup icons of each member on a black background. Add them to your ever growing KISS collection today. Hand wash only. Not dishwasher safe. Do not microwave. Thoroughly hand wash before first use.